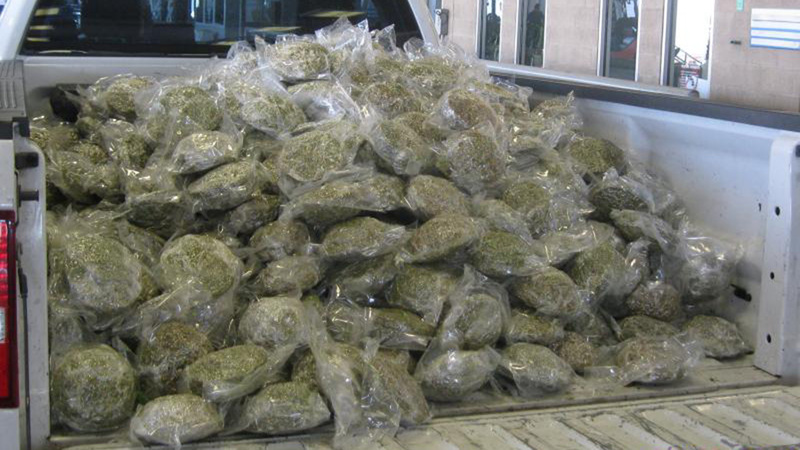 HOUSTON (KTRK) -- Officers with U.S. Customs and Border Protection proved to be smarter than drug smugglers who thought they could sneak 766 pounds of marijuana into the U.S. via a produce shipment. U.S. customs officials say an imaging scan and canine team alerted officers at the Pharr International Bridge on Tuesday that something was suspicious about a tractor/trailer hauling a commercial shipment of fresh broccoli from Mexico. When they searched the trailer, they found 661 packages of marijuana mixed in with the boxes of broccoli. "I commend our frontline officers at our cargo facility for their dedication and commitment towards the CBP mission of helping keep drugs from crossing our border," said Port Director Efrain Solis Jr., Hidalgo/Pharr/Anzalduas Port of Entry. "Our ability to analyze all the information presented with commercial importations in conjunction with officer experience, is the basis for accomplishing these type of interceptions." Officials say the drugs have an approximate street value of $153,000.